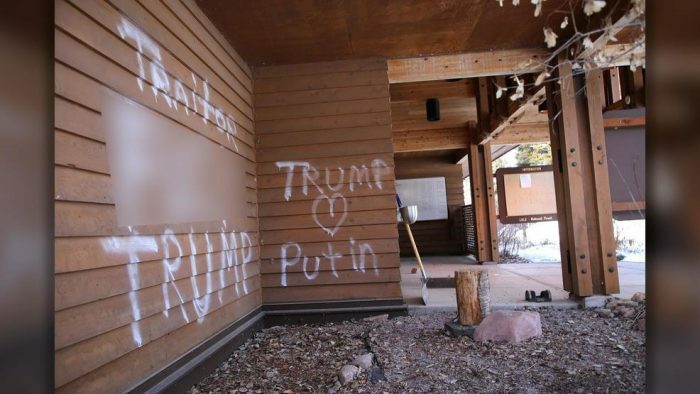 Authorities in the Swan Valley are seeking information about vandals who spray painted political messages on the Seeley Lake Ranger District. The attached photo, posted to the Seely-Swan Pathfinder’s Facebook page, shows the damage. No other damage was reported. The incident was reported Monday.